This pasta primavera from Mountain House contains great tasting zucchini, cauliflower, broccoli, red peppers, yellow peppers, green peas, and spiral macaroni all covered in a parmesan cheese sauce. 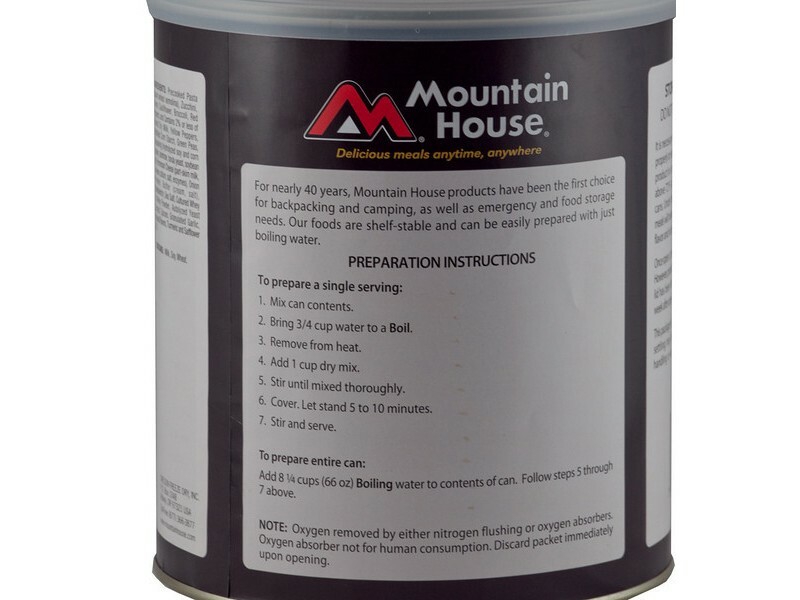 It is a wonderful addition to any long term food storage program, or a great option or taking with you camping, hiking, hunting or fishing. 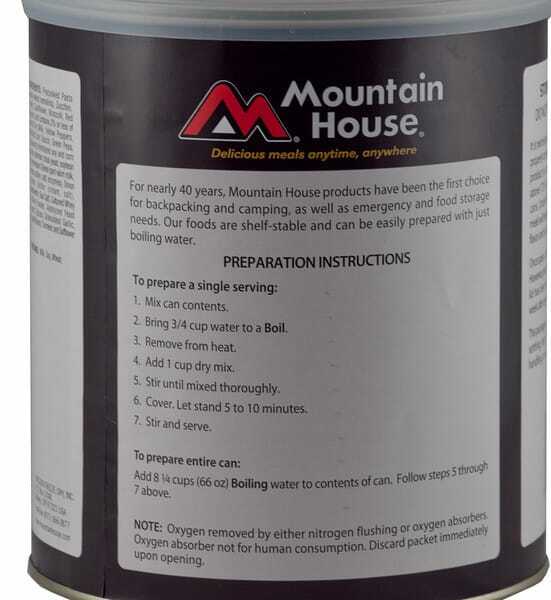 The contents of the can will remain good for 25+ years due to the high quality packaging process used by Mountain House. Stock up on this great meal today so it is there for you when you need it. Pasta primavera is one of those meals that most people really enjoy. Even kids love the taste once they give it a try. 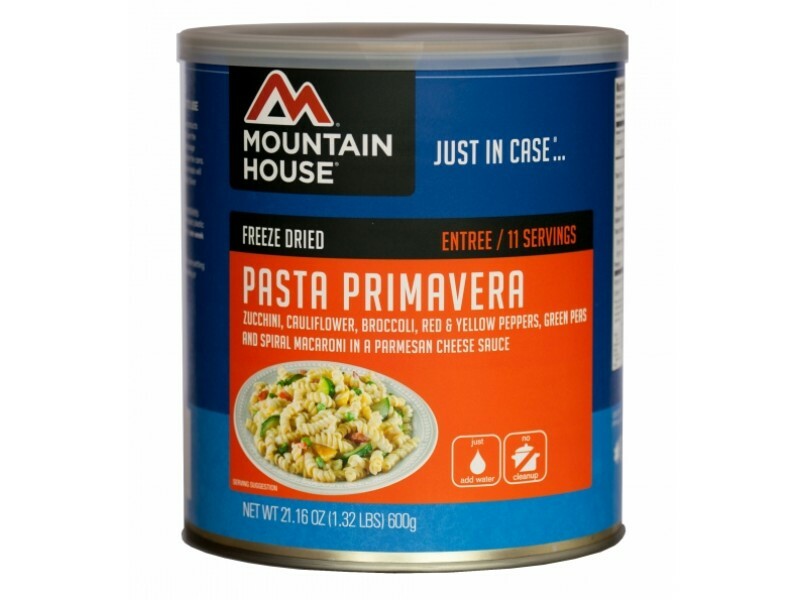 Get this #10 can of pasta primavera from Mountain House and you’ll be able to enjoy this great meal in the event of an emergency, or any other time. Having something like this in the home is a great way to ensure you and your family won’t go hungry during a weather emergency or any other type of disaster. 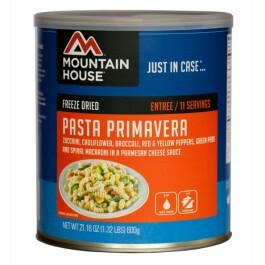 If you’re worried about a global economic disaster, stocking up on this pasta primavera, as well as other Mountain House products, is a great way to ensure you have what you need while transitioning into a new lifestyle. Whatever you plan on using it for, you’ll be glad you have it available when you need it. 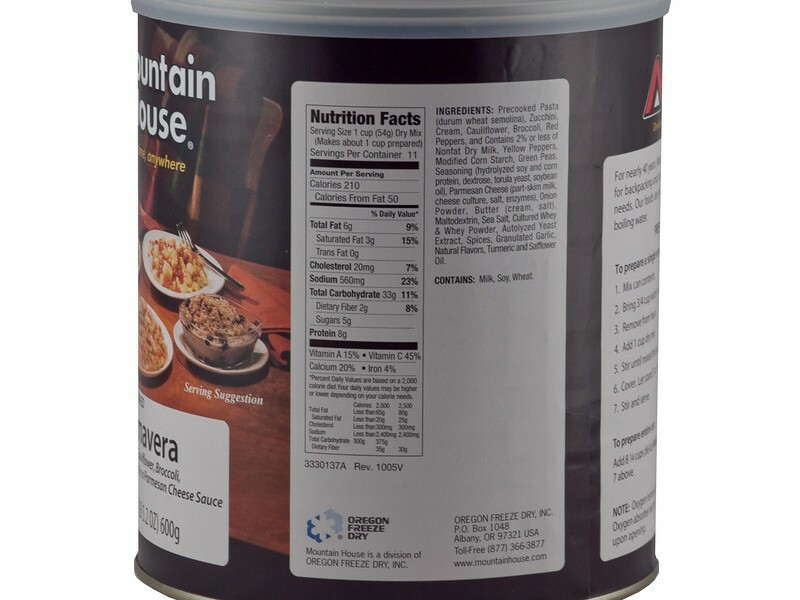 Each can of pasta primavera has 11 servings of 1 cup each, which will ensure your entire family can fill up on this healthy food. With a great variety of vegetables and other foods, it will also give you many of the vitamins and other important nutrients you need to stay healthy. 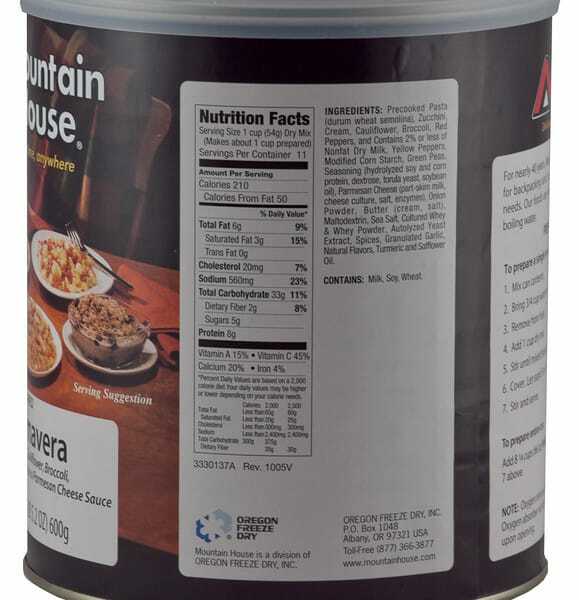 Make sure your family is protected in any situation by having this great food from Mountain House available when you need it. One can contains 11 1 cup servings.